1. Amour (5 nominations, including Best Picture and Best Director): Including this French-language gem in the Best Picture list the Oscars have done themselves a favor. 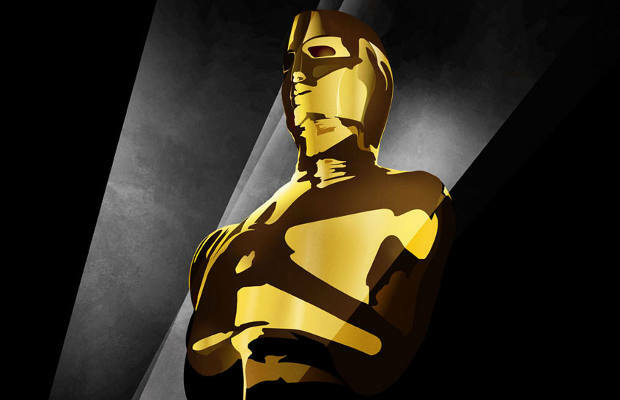 The best of International cinema are generally works not in English language and this is one big reason why the Oscars do not find many takers among the fans of World Cinema, as the scheme of the Academy limits the awards to English-language films, except in one category. That category, of the Best Foreign-Language Film is perhaps the most predictable this year, with ‘Amour’ as the clear front-runner. The 85-year old Emmanuelle Riva is the oldest actress to have earned nominationin Oscar history. I watched this film at MAMI this year, and it is unlikely that it will find a release in India. You can either download it, or wait for the original DVD. 2. Argo (7 nominations, including Best Picture): Ben Affleck’s rise as a film-maker is something to applaud. I have to admit that I’m a little surprised, especially because I have never taken him seriously as an actor. A few hours ago, ‘Argo’ has won Golden Globes for Best Picture (Drama) and Best Director, and this will majorly boost its chances at the Oscars. The film was released in India several months ago and I regret having not watched it. Have to watch it somehow, very soon. 3. Beasts of the Southern Wild (4 nominations, including Best Picture and Best Director): This film’s inclusion is another good news, this time for small, independent film-makers. The little Quvenzhane Wallis has also earned a Best Actress nomination, becoming the youngest actress to achieve this feat, beating Keisha Castle-Hughes who was nominated for ‘Whale Rider’ (2003). I had watched this unforgettable film at MAMI, and its release in India seems utterly improbable. 4. Django Unchained (5 nominations, including Best Picture): Quentin Tarantino’s latest has just won the Golden Globe for Best Screenplay. For me, this is the most eagerly awaited film of the lot. Unfortunately, the official date of its release in India is 29th March, and I will not watch a downloaded copy of it. In all probability, I will watch the Oscars this year without having watched this movie, and will wait for it to hit a big screen near my house. 5. Life of Pi (11 nominations, including Best Picture and Best Director): The successful run of this film in India continues and it is still playing at several screens. Watch it today if you haven’t. It has earned 11 nominations, and that includes a nomination for the Indian singer Bombay Jayashri. If you are not aware of her, please use Google. I don’t mind telling you that hers was the amazing voice that sang the passionate ‘Zara Zara’ from ‘Rehna Hai Tere Dil Mein’ (2001). 6. Lincoln (12 nominations, including Best Picture and Best Director): Daniel Day-Lewis, who plays the title role, is a strong contender for the Best Actor award this year, for this film that has earned the maximum nominations. Do not be surprised if it wins the Best Picture as well, going by the Academy’s traditional fascination with biopics, costume dramas, and Steven Spielberg. It is releasing in India on the 8th February, and deserves a big screen watch. 7. Master, The (3 acting nominations): I was a little surprised and upset to know that this movie was not nominated for Best Picture, nor was PTA nominated for Best Director. He is one of the best directing talents in the world today, and this film was eagerly awaited. I still do not know whether it is releasing in India, and if yes, then when. Please let me know if you find out. 8. Miserables, Les (8 nominations, including Best Picture): From the director of ‘The King’s Speech’, this film has just won Golden Globes for ‘Best Film (comedy or Musical)’ and acting awards for Hugh Jackman and Anne Hathaway. It is releasing in India this Friday, and I am going for it on the first day itself. 9. Silver Linings Playbook (8 nominations, including Best Picture and Best Director): This film came and went, and I missed it. If you’ve missed it too, we can now regret doing that together. It was also the Opening Film at MAMI this year and I never took it too seriously. Now, I wish I had watched it when it had come. Torrents, anyone? 10. Zero Dark Thirty (5 nominations, including Best Picture): Releasing in India on the 1st February, this is a film that will definitely fascinate most of the audience, mainly because of its content, and also because of its director. Her ‘The Hurt Locker’ had defeated big films in 2010 at the Oscars, and this time ‘Zero Dark Thirty’ was being hailed as a worthy successor to it. However, Kathryn Biegalow’s non-inclusion in the Best Director list has created some controversy back there, with many believing it to be the result of the interference from the US politicians. Controversies aside, watching this film will be one important agenda early next month. P.S The release dates as per the information I could find online and are subject to change. P.P.S. Clicking on the movie titles above will take you to their respective trailers. Watch them and share your views about them - which ones fascinate you majorly!